James Perry discovered that his father was a Catholic priest after a blurb on the news caught his attention. James Perry was watching the news for snow cancellations on a December evening back in 2002, when a story unexpectedly caught his eye. The Boston Archdiocese had released records showing that a local priest had fathered two children and later abandoned their mother to die, after she overdosed on sleeping pills. 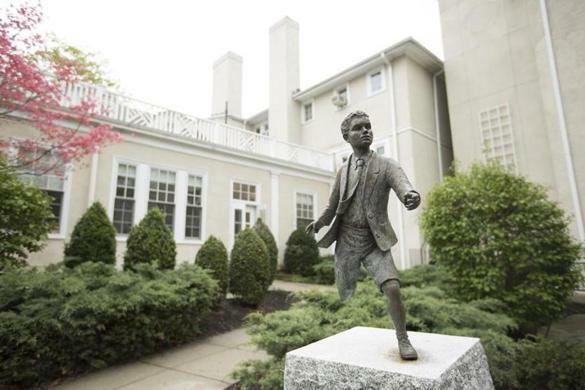 The woman had lived in Needham, just like Perry’s mother. And she died in 1973, the same year as Rita Perry. Perhaps most telling, the TV reporter said the woman had undergone a lobotomy — a procedure similar to one that Perry’s mother had undergone. That’s how James and Emily Perry discovered their real father was not the man who raised them, but the Rev. James D. Foley, a deeply troubled priest who admitted in an interview with the Globe to his “ugly and tragic” involvement with Rita Perry. What’s more, church records show that Cardinal Bernard Law, Boston’s former archbishop, allowed him to remain in ministry for nine years after he admitted to fathering the children and playing a role in their mother’s death. “The thing that stuck out to me when I read the documents is, what is the responsibility to the children? Anything?” said Emily Perry, who was 3 years old and sleeping in an upstairs bedroom the night of her mother’s death. The only comfort for the siblings was the revelation that their mother had not deliberately taken her own life, abandoning her children. Foley, who died in 2015, eventually called emergency services for Rita Perry and was never charged in connection with her death. But the Perry siblings filed a wrongful death suit against him, and the archdiocese stepped in, reaching a settlement that included a face-to-face meeting with Cardinal Law and a requirement that Foley take a paternity test. Cardinal Sean O’Malley, Law’s successor, eventually issued an apology on behalf of the archdiocese. But neither the settlement nor the apology eased the siblings’ pain and disillusionment; both felt the church had enabled Foley’s behavior. “It was astounding how they just moved him around and shuffled him back and forth and didn’t really address the situation — even after they found out about the tragedy of my mom’s death,” said James Perry, who was 37 when he learned he was named after the priest. Through church records and conversations with Foley, James and Emily Perry were able to piece together a picture of their mother’s more than decadelong relationship with Foley, which began shortly after her first child died during infancy. James and Emily Perry also learned that, after the relationship ended and Rita Perry had a medical procedure similar to a lobotomy, Foley went back to their mother and renewed their affair, even though she no longer knew who he was. “I don’t know how you could say anything but that she was preyed upon,” James Perry said. James and Emily Perry were initially reluctant to take legal action against their biological father because they wanted to spare the man who raised them and their two older half-brothers from more anguish. But James Perry increasingly felt the need to get genetic confirmation that Foley was indeed his father. 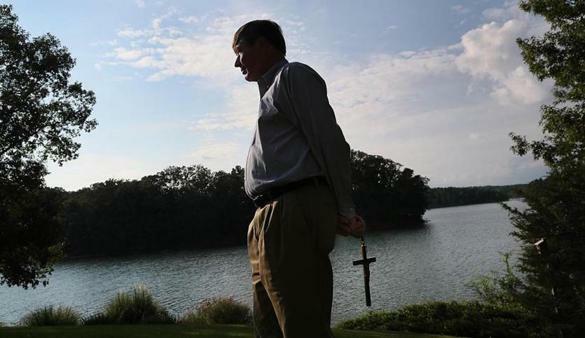 So he asked Foley to take a paternity test — and the priest refused. But even after Foley later submitted to a court-ordered test, the proof that he really was their father brought the Perry siblings little comfort. “When I got that paternity test back, I bought a bottle of wine and sank into the bath and was really so sad,” Emily Perry said. James and Emily Perry said Foley was never honest about their mother’s death, claiming at one time that he called 911 before he left her side that night, contradicting his earlier admission to church officials that he did not call until later. He also claimed that church officials didn’t know about his relationship with Rita Perry until 1993, even though church records show they knew as early as 1966 — and did nothing. “None of it added up,” James Perry said. Emily Perry and her brother, James, found out the priest who was their father left their mother after she had taken the sleeping pills that would kill her. Over the years, James and Emily Perry occasionally reached out to Foley, in hopes that he would be more open and honest, and they could stop feeling like “his dirty little secret,” as Emily Perry put it. But Foley and his family tried to keep the secret until the very end. When he died, Foley’s official death notice made no mention of his two surviving children. Nonetheless, James and Emily Perry both said they have grown to forgive the priest who fathered them. James Perry said the need for forgiveness hit home when he discovered that his wife needed a kidney transplant. James Perry, it turned out, was a rare compatible donor, allowing him to give his wife one of his kidneys, and save her life. Peter Murphy is the son of an Irish bishop and Annie Murphy, an American woman. 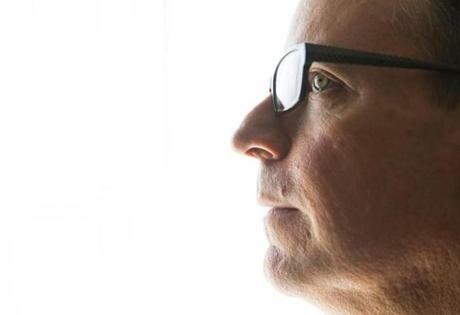 Although he lives a quiet life in a Boston suburb, Peter Murphy just might be the most talked about child of a priest in the long history of the Roman Catholic Church. Twenty-five years ago, when The Irish Times revealed that Murphy was fathered by a popular bishop, Eamonn Casey, the news rocked Catholic Ireland to its core, and the story of the charismatic prelate’s affair with an American woman spread throughout the world. At the time, Peter Murphy was 17 years old, living in tony Fairfield County, Conn., with his mother, Annie Murphy, and his mother’s longtime boyfriend, Arthur Pennell. Within a matter of days, Casey resigned and the news media descended on the Murphy home, transforming Annie Murphy and her son into instant celebrities. Annie Murphy fanned the flames of the scandal with a quickie biography, “Forbidden Fruit: The True Story of my Secret Love Affair with Ireland’s Most Powerful Bishop,” a book she now regrets, she told the Globe. Today, Peter Murphy, 43, says he’s at peace with the memory of the man who was his father – Casey died in March. But at the time, he was seething with resentment over the tales his mother told him about Casey, who pressured her to give their son up for adoption, which she fiercely resisted. “You’re in your teens and you’re pissed at everybody. So it was nice. I had this one person I could get pissed at. And he wasn’t even around,” Peter Murphy said. 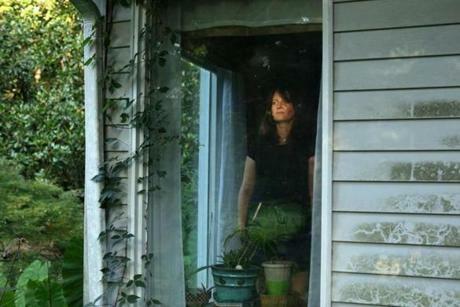 Annie Murphy had never kept the identity of her son’s father a secret. On one occasion, when Peter Murphy was only 7 or 8, she even pulled him out of bed to watch TV and see Casey denounce President Ronald Reagan’s interventionist policies in Central America. But, despite Casey’s reputation for considerable charm, he was extremely cold toward his only son at their first meeting, which took place under the terms of a settlement of a lawsuit Annie Murphy filed, claiming that Casey had paid insufficient child support. “He wouldn’t even look at me. He wouldn’t even talk to me. So I left and just lost it. I started crying. I started freaking out,” Peter Murphy said. After that, Authur Pennell, his mother’s longtime boyfriend, began mulling ways to avenge Casey for treating his son so poorly. The opportunity came when Annie and Peter Murphy, along with Pennell, moved to Ireland, using the settlement money Casey had paid. One day, Pennell dropped in on Casey, unannounced, and asked him to consider becoming a bigger part of Peter’s life, but Casey threw him out and threatened to call the police if he returned, Peter Murphy said. A year or so later, he added, Pennell decided to up the ante and tell the world that Casey had fathered a son, triggering the uproar that cost Casey his career. However unlikely it may seem, the gambit worked. Within three weeks of resigning as bishop of Galway, Casey called Annie Murphy’s lawyer and said he’d like to get to know their son. For the next decade, Casey and Peter Murphy met two or three times a year, usually over dinner and drinks, and built a friendship that endured. On some of his visits, Casey would visit Peter Murphy at restaurants where he worked, including Boston’s venerable Last Hurrah, invariably charming his son’s co-workers. “He was just this incredibly fascinating person,” Peter said. Today, Peter sells televisions, audio-visual equipment, and lighting systems, and says he long ago got over the resentment he once felt toward his father and the Catholic Church, though he is no longer a practicing Catholic. Janusz Kowalski (front row, left) with his father, the Rev. 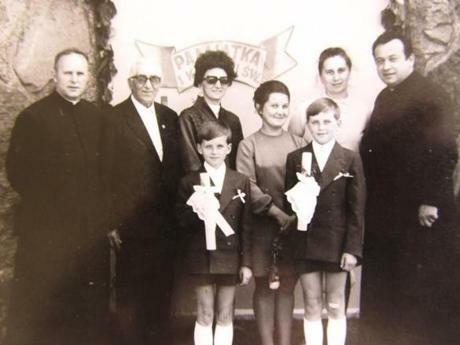 Boleslaw Petlicki (far left), and mother, Regina Kowalska (back row, second from right). The reaction in Poland: How dare she lay her hands on a priest? Growing up in a small village in Poland, in the early 1960s, Janusz Kowalski and his older brother did not learn that their father was a Catholic priest until Janusz was 12 and his older brother was 13. But everyone else in the village seemed to know as soon as the first boy was born. But Kowalski’s mother, Regina, loved the church — she always wanted to be a nun — and readily shouldered responsibility for giving birth to a child out of wedlock, even though, at 19, she was less than half the age of the father. Indeed, just a few months after the birth, his mother learned that she and the Rev. Boleslaw Petlicki were going to have a second child — Janusz. This time, Kowalski said, his grandmother urged her to protect what remained of Petlicki’s reputation. “Grandma was trying to influence her to have an abortion because it looked bad for the priest,” he said. But Regina insisted on keeping her child. 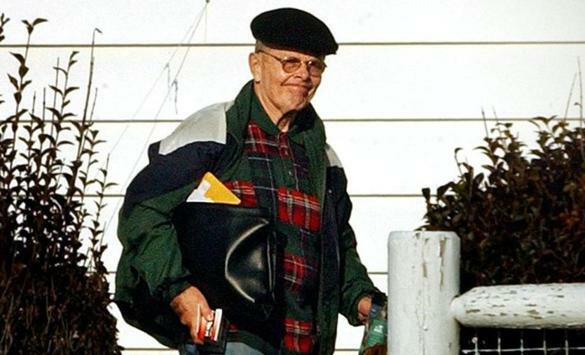 Janusz Kowalski said his birth sparked a formal church investigation, prompting Petlicki to tell Regina that he would no longer be able to support the boys if she revealed that he was the father. “She swore before a church panel that we were not his kids, hoping that he would take care of us,” Kowalski said. It was an assertion backed up by the boys’ birth certificates, which listed a fictitious father with the last name of Kowalski, one of the most common surnames in Poland. By the time Kowalski and his brother were told that Petlicki was their father, they had moved from the village where Petlicki worked, to the port city of Gdynia, where Petlicki had purchased a home for his secret family. Every three to six months, he would drop by for a sleepover and, in Kowalski’s view, disrupt the boys’ lives by playing the disciplinarian while masquerading as their uncle. “He was not very nice, and I would always think, ‘Who are you to discipline us when you’re never around?’ ” said Kowalski. Kowalski left Poland for Canada in 1990 with no regrets and no special fondness for the church. But his alienation deepened when Petlicki died and Kowalski wrote the local bishop, criticizing him for failing to notify family members of his father’s death. He also asked for information about Petlicki’s medical history, and got nowhere. “At the very least, I should know my father’s medical history so I can plan my own life,” said Kowalski, who believes that his father, like other priests in Poland, was well off financially.